Buicks have normally been thought of as a grandparent's car, but that doesn't mean it doesn't occasionally like to let its blue hair down and party. The 2003 Buick LeSabre celebrates 10 years of being the top-selling full-size car in America and the 100th anniversary of Buick Motors by releasing 10,000 Celebration Editions of the LeSabre Limited. Packed with all of the Limited features, the Celebration adds two-tone leather and black cherry wood trim on the inside, and a blacked-out grille, body-colored rocker panels, and 16-inch chrome-plated aluminum wheels on the outside. Of course, there's also appropriate badging. The Celebration Edition also features more standard equipment, such as the heads-up display and the StabiliTrak stability system, both of which are only optional on the Limited. There are few changes to the traditional Custom and Limited versions of the 2003 LeSabre. Satellite radio was made available this year for the Limited, and for some reason the standard side airbags on the Custom were turned back into an option. A 3.8-liter, 205-hp V6 engine powers the 2003 LeSabre, matched to a 4-speed automatic. 15-inch wheels are standard, but 16-inch ones can be added through the Gran Touring Package, which also features a stiffer suspension and a rear stabilizer bar. The full-size LeSabre seats six in two rows of bench seats, though bucket seats can be substituted in the front. All models come with power driver's seat, full power features, cruise control, ABS brakes, and remote entry. Leather seats with memory settings, traction control, OnStar, auto-dimming rearview mirror, and dual-zone climate control are added to the Limited. The 2003 LeSabre gets five-star ratings in crash tests, thanks to its dual front airbags, stiffer seatbacks, and headrest restraints that move forward to cushion the head. Older drivers and those with young families like the combination of safety, smooth ride, and interior room and comfort. Gas mileage is respectable for a full-size, and all the standard features lead some drivers to call it an "affordable Cadillac." Others wish it had a V8 optional engine. 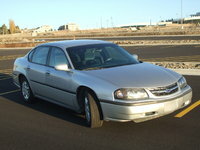 The backseat is smaller than you'd think, there is wind noise at high speeds, and the 2003 LeSabre seat materials seemed to wear out easily and not be as comfortable as in previous years. 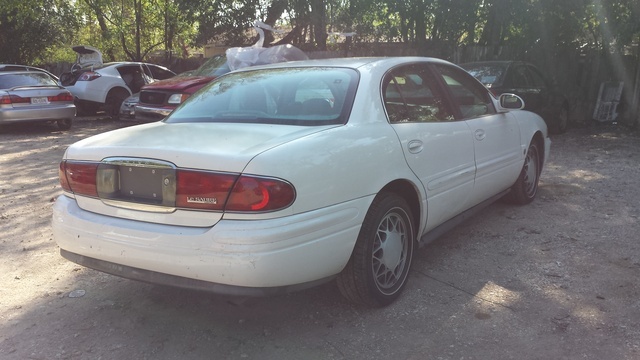 What's your take on the 2003 Buick LeSabre? Have you driven a 2003 Buick LeSabre? WHAT OIL SHOULD I use in my Buick lesabre custom V6 40,000 miles on it . conventional or synthetic . just concerned about a seal leak with synthetic but it is a better oil ?